Organization for defending victims of violence will be holding an event on the international day in support of victims of torture at the Peace Museum of Tehran with the focus on the right to rehabilitation (R2R). Organization for defending victims of violence will be holding an event on the international day in support of victims of torture. 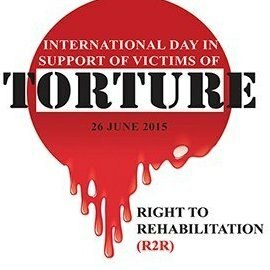 The event will be held on Sunday, 28th of June, 2015 with the participation of Psychotherapist, specialists, NGOs, and a number victims of tortures themselves. Professor Jafar Mirzai, psychotherapist, will have a speech on the rehabilitation of the victims of torture, few of the victims will also be speaking too. The participants moreover visit the Peace Museum of Tehran. Furthermore, ODVV, will be holding a two-day workshop on ‘’evaluation, diagnosis and treatment of PTSD and trauma injuries’’ focusing on domestic violence. The exact time of this event will be announced soon.